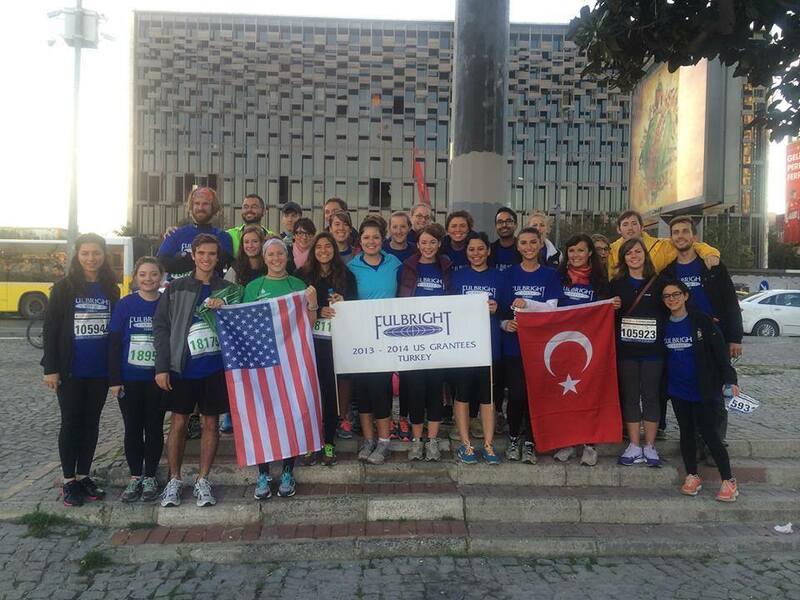 The weekend of the Vodafone Istanbul Marathon, a large group of Fulbrighters gathered in Istanbul to participate in the 10k and fun run. 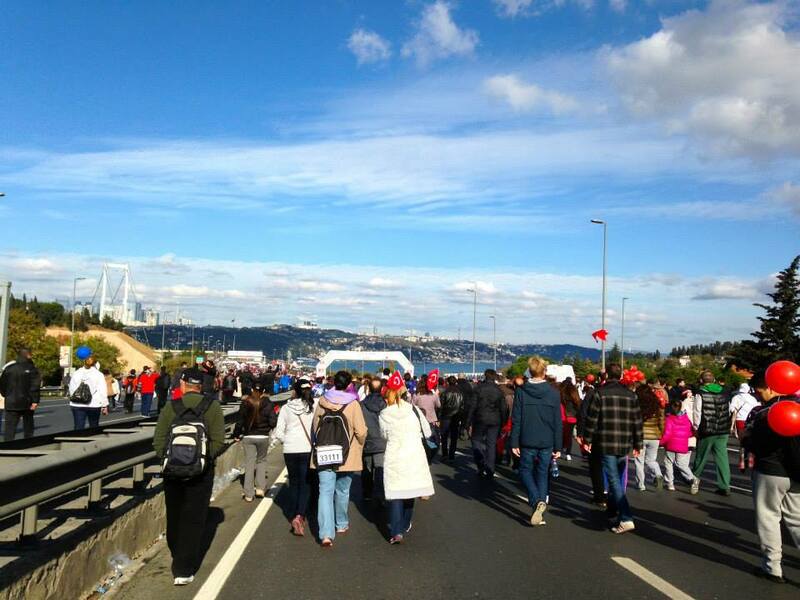 The Istanbul Marathon is the only day of the year when the famous Bosphorus Bridge is open to foot traffic, and we couldn’t miss the opportunity to boast that we’d crossed continents (from Asia to Europe) by foot! 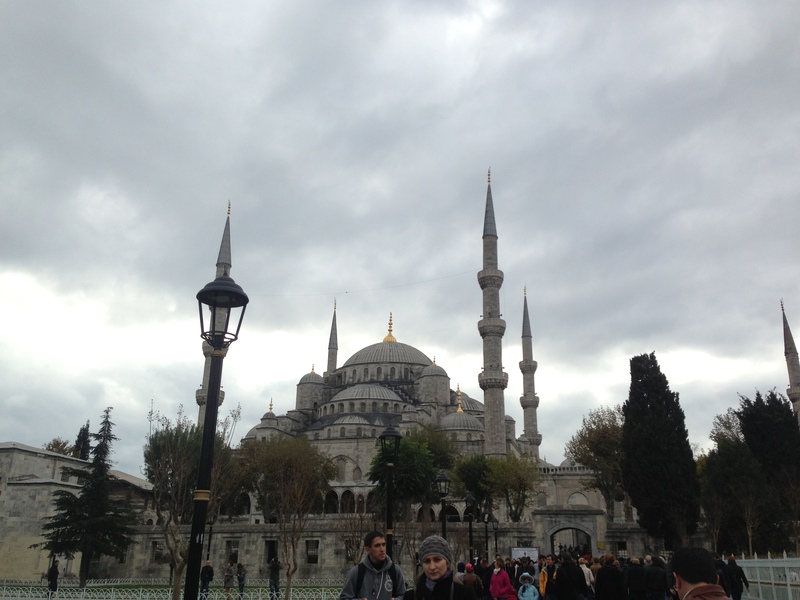 It was an overwhelming weekend- my first time in Istanbul! !—complete with much reunion-ing with Fulbright friends from across Turkey, and coinciding with a visit from a college friend. Here’s one of the thousands of songs that have been written about Istanbul (my roommate and I spent a good portion of a night listening to a bunch to inspire me before my trip) that is also the inspiration for the title of this post (“Istanbul in Autumn”). 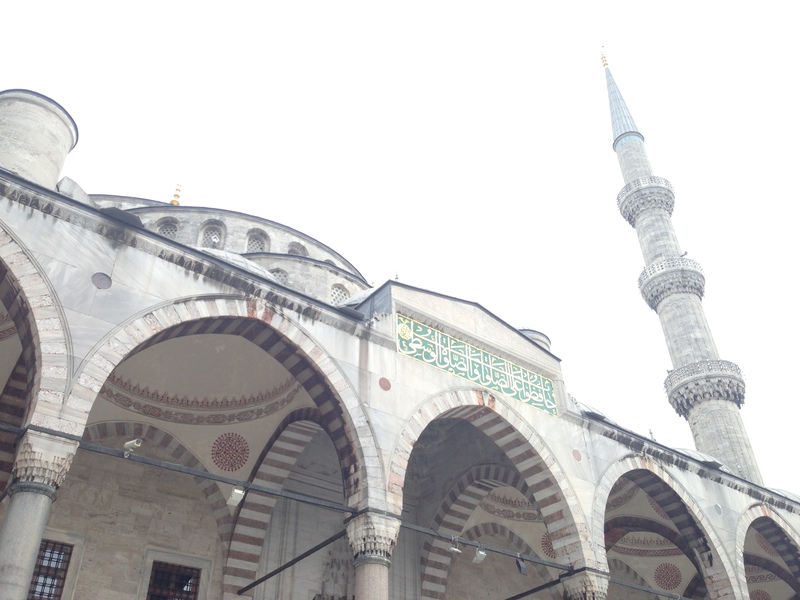 Because the weekend was so hectic, and I swore I’d be returning to Istanbul many times (always, always inshallah… and I have) sightseeing wasn’t my highest priority. 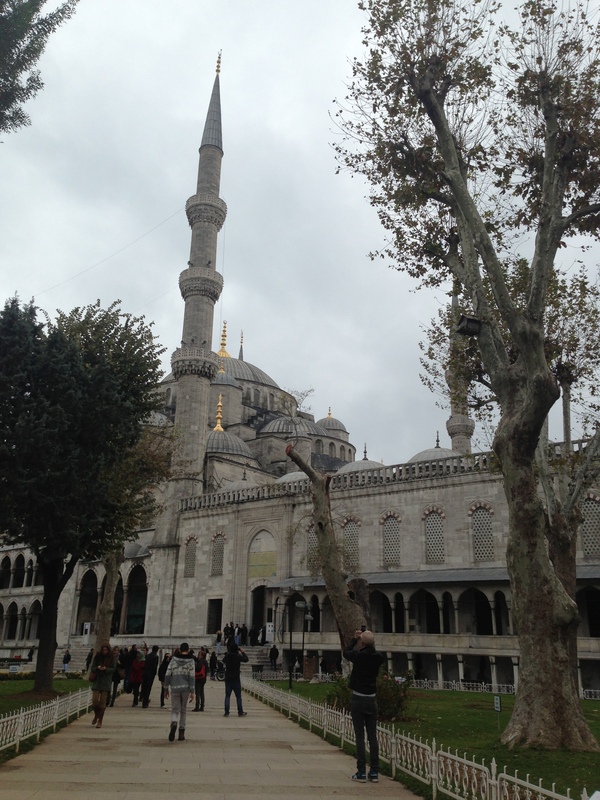 However, I did manage to squeeze in some of the famous sights of Istanbul. 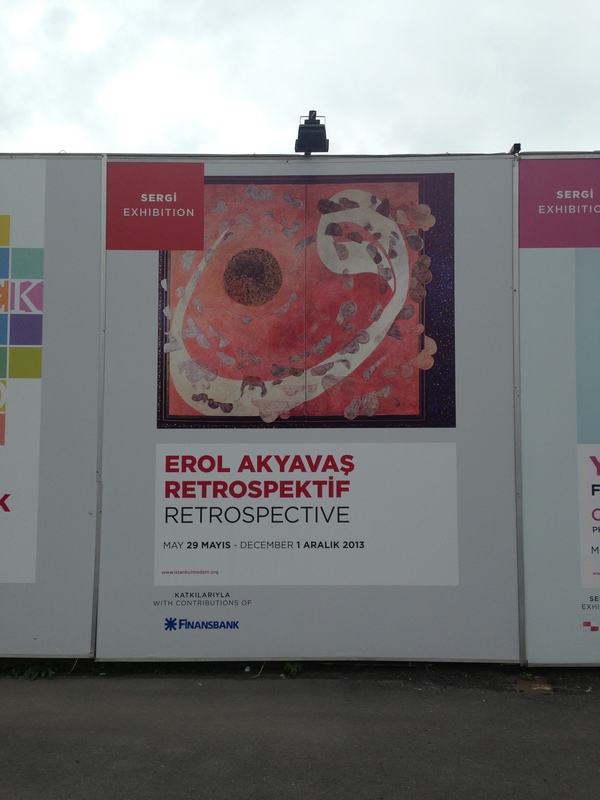 We spent one morning visiting the Istanbul Modern, where I was particularly blown away by the works of Erol Akyavas. 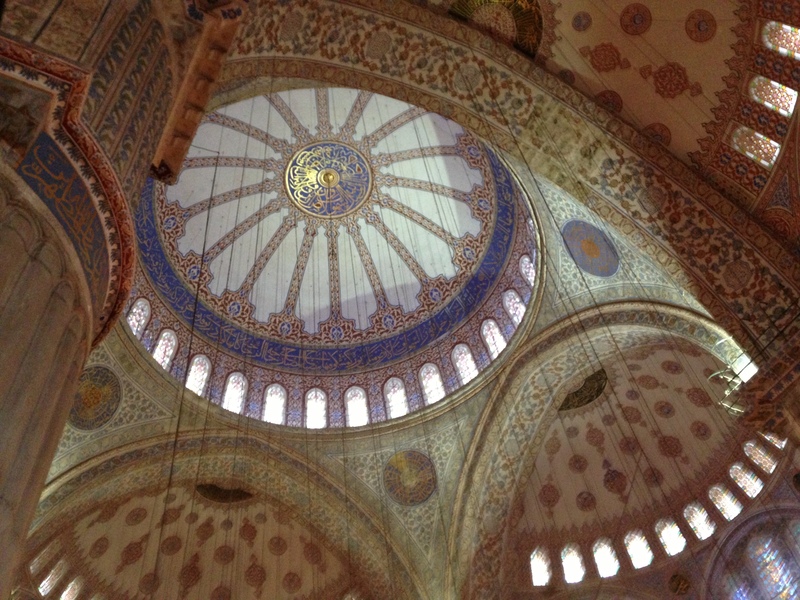 Sultan Ahmet Camii (aka the Blue Mosque) was built by grand architect Sedefhar Mehmet Aga between 1603-1617. 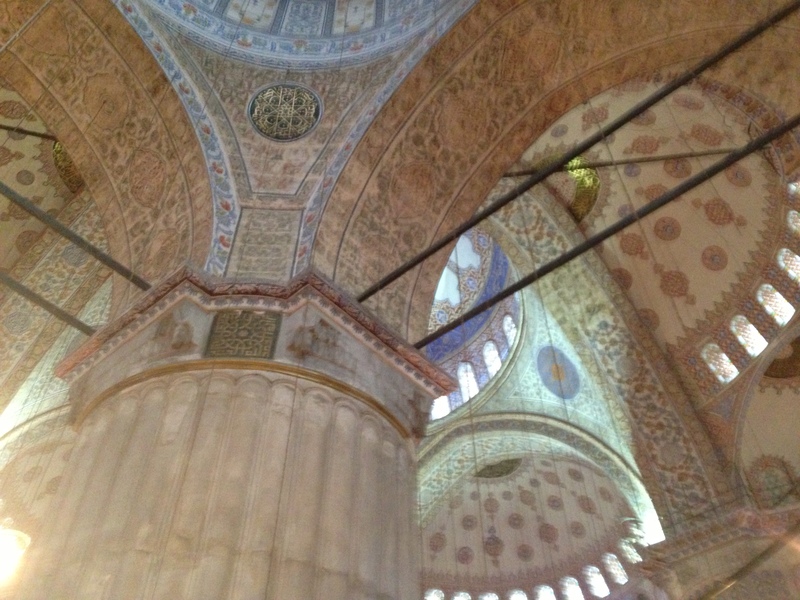 It features a (potentially controversial) 6 minarets and tens of thousands of (primarily blue) Iznik tiles, hence the mosque’s unofficial namesake. While it is a stunning site (that I unfortunately did a terrible job photographing), its atmosphere is something less than reverential, especially for tourists who are herded through a side entrance en masse and trail their foot odors along with them. 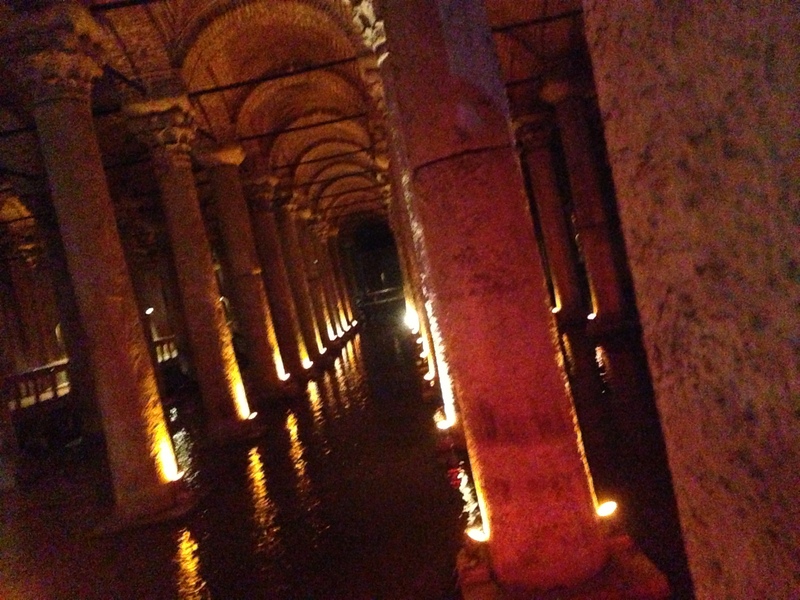 The Basilica Cistern is enjoying new fame thanks to it’s usage as a sight of intrigue in a recent Dan Brown novel. 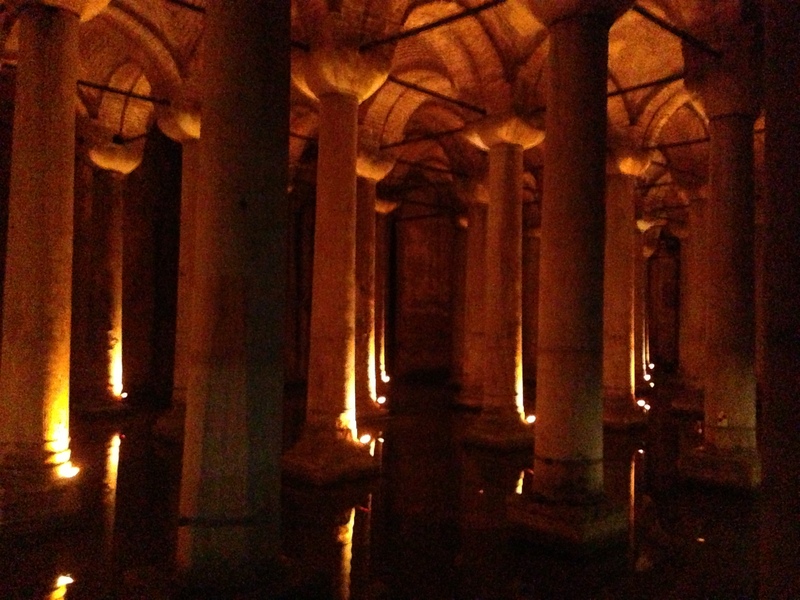 Known also by its Turkish name Yerebatan Sarnic(h)i, the Sunken Palace), it is essentially an ancient cistern formerly connected to numerous aqueducts; it was built originally to provide water for the Great Palace. 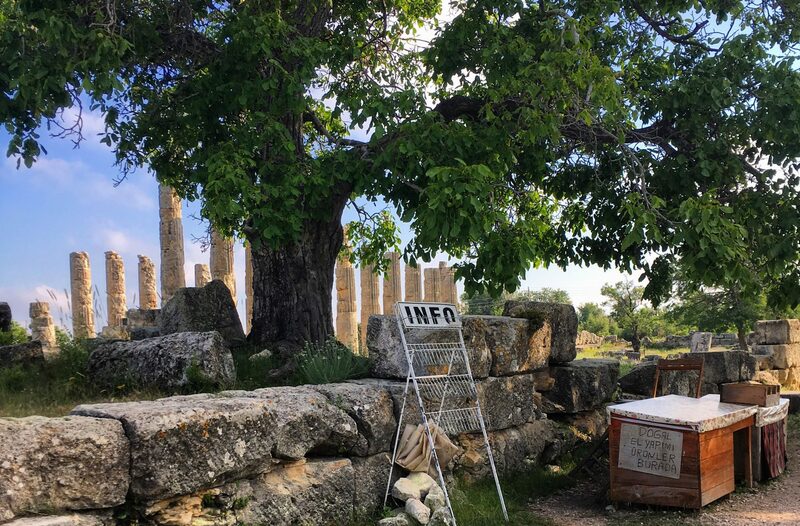 It fell into formal disuse i the early Ottoman period, and was “rediscovered” in 1545 by a French academic who noticed the locals acquisition of fresh fish and water from what was then a formally unknown source: the cistern. 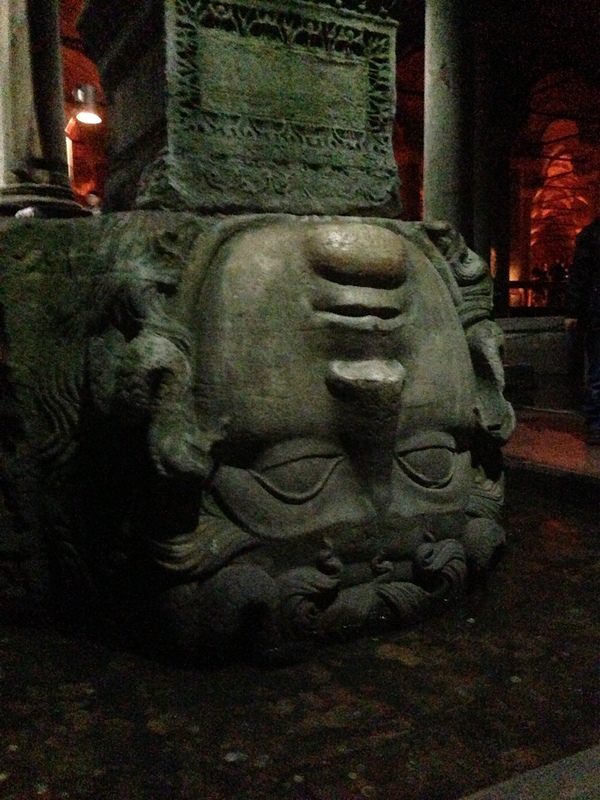 The site was restored in 1987 and now features dramatic lighting which illuminates the diverse 336 columns, many of which (especially the two featuring the head of Medusa) were clearly sourced from other temples and buildings. 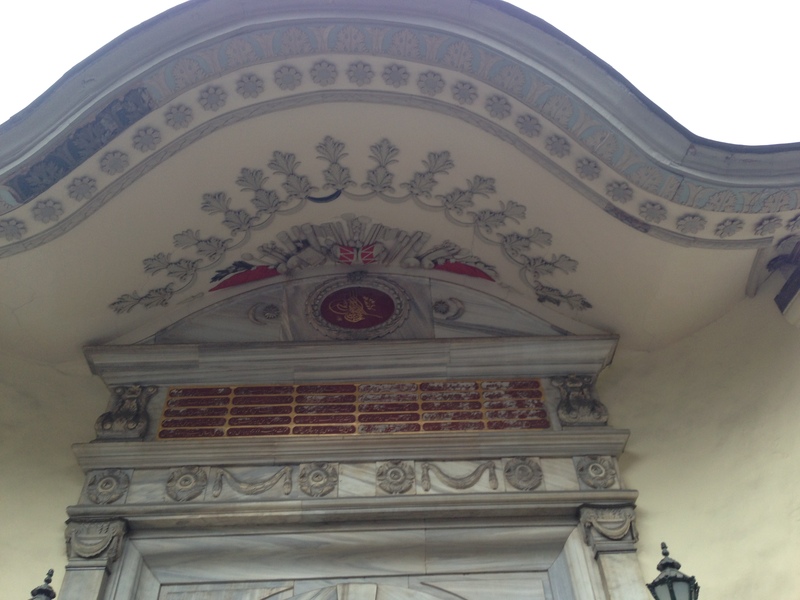 As I was walking back from Sultan Ahmet to catch the tram back to the Taksim district to meet up with Fulbrighters, I happened to notice the Sublime Porte, (in Ottoman Turkish and for my Arabic readers, باب عالی ) which was the formal entrance to the offices of state affairs in Ottoman times, and thus served as its metonym. 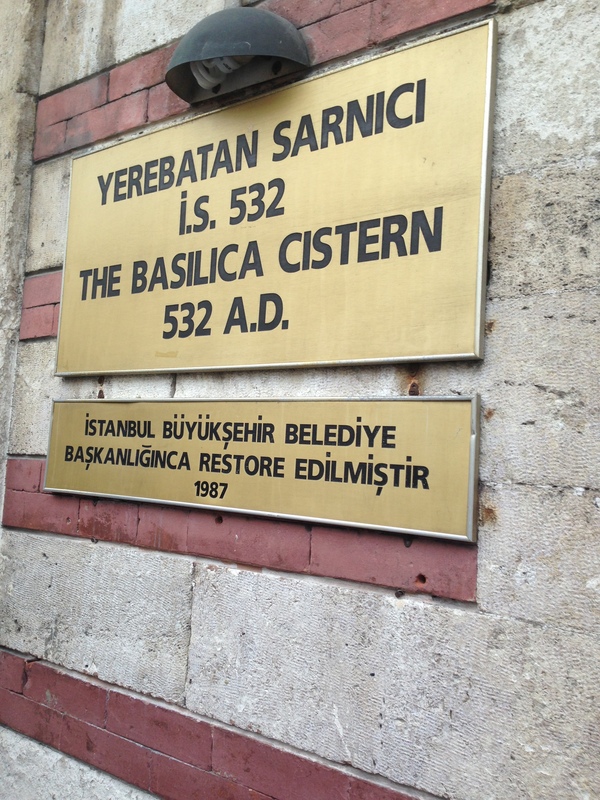 The area now houses the governor of Istanbul, so Wikipedia tells me. Unfortunately my phone (read: camera) was dead so I don’t have many pictures of the marathon itself, however, I’m stealing some from my homegirl, the talented Sophia Yapalater to give you a small glimpse into what we experienced. I participated in what was advertised as the 8k Fun Run… I showed up in tennis shoes, my blue Fulbright Turkey teeshirt gifted by the Commission for the occasion, and athletic gear, prepped for a very long slog, having not done much to prep for the run. Upon arrival though, it became clear that actually running the fun run was very much optional. To be honest, it felt more like participating in a bizarre parade with no clear agenda. 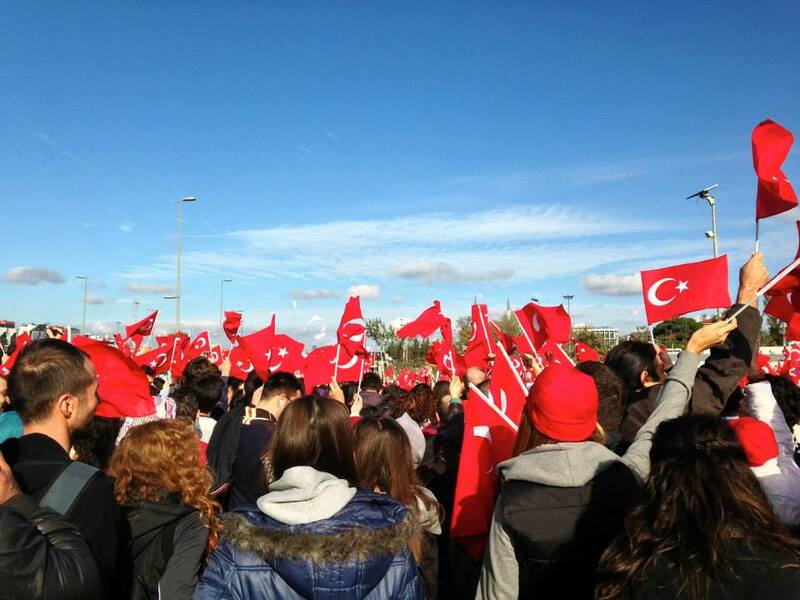 It was as though someone had taken a cross section of civil society in Istanbul, of Turkey, and put (most of) them in tennis shoes, and said, “there will be thousands of people from around Turkey and the world, what do you want them to know or care about? Who wants a weird and un-matchable experience?” We saw lots of groups of schoolchildren walking with their teachers singing nursery rhymes, women’s groups (religiously affiliated and not) in matching scarves or teachers, supporters of environmentalism, swarms of people supporting charities that work with children with disabilities and more…. We also saw expressions like the one pictured below, complete with printed yellow and black R4BIA logos pinned to the backs of mostly younger men. 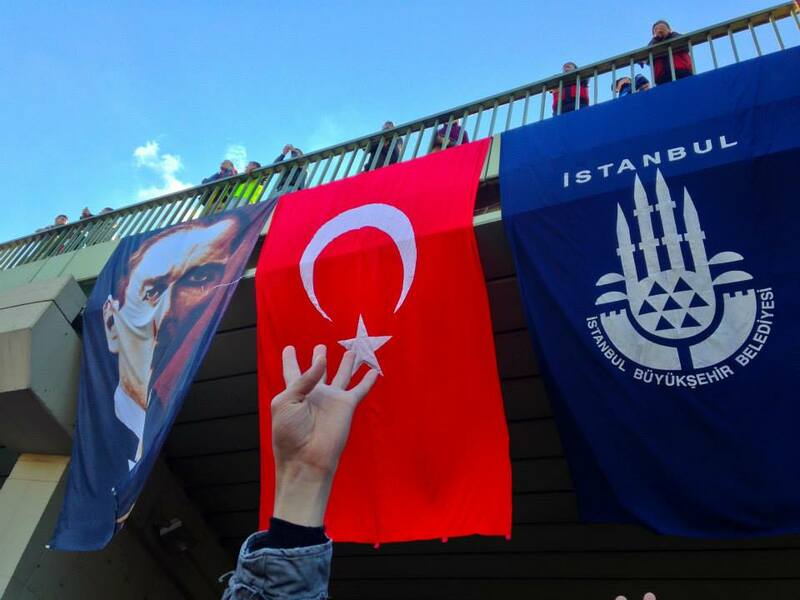 That hand gesture is now in fact illegal in Egypt itself, but I’ve seen the logo stickered all over Turkey- in windows of restaurants or clothing stores, graffiti-ed onto walls, plastered at the entrance to apartment buildings, etc, in places as wide ranging as Istanbul, Konya, Ankara, and Urfa. Even though I’m not sure I can fully articulate why yet, I get a kind of sick and torn feeling in my stomach every time I see it. (Photo cred Sophia Yapalater; an excellent shot of a protester throwing up R4BIA). A group shot of all the Fulbrighters participating in marathon events (1/2 marathon, 10k, and fun run) with a representative of the Commission in Taksim Meydani before heading off to the race! 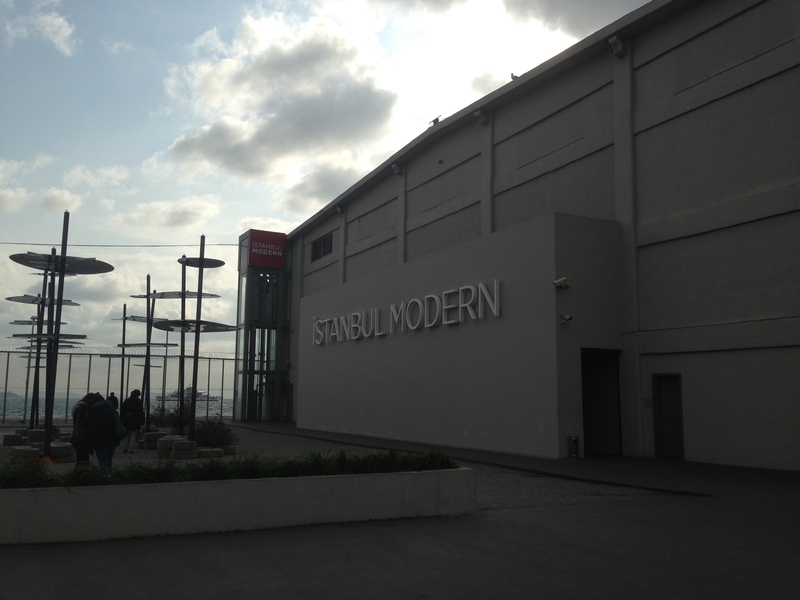 A great first experience of Istanbul, with great memories and the foundation for more to come.